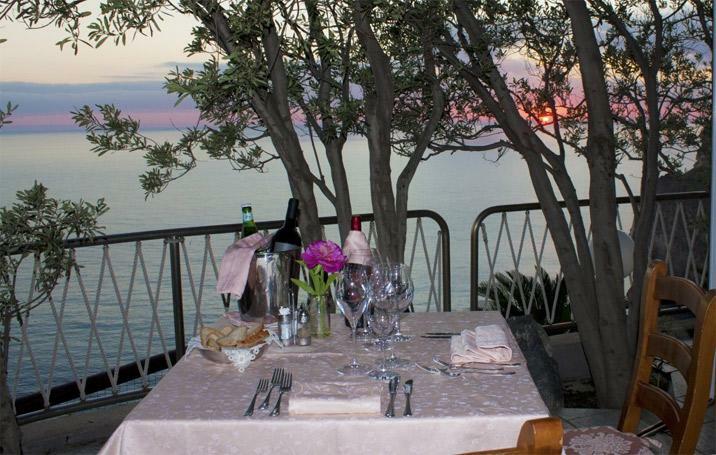 The restaurant Chiarito, has two halls, a veranda and a wonderful view above the coast and the sea. The local overlooking the bay of Sorgeto and the wondeful suburb of Sant'Angelo. The restaurant built inside the park of Punta Chiarito, enjoys a favoured position, the view fades into the immense blue sea and sky, between the promontory of Sant'Angelo and the bay of Sorgeto. A wide parking which hosts guests, the bust stop is 1,5 km and 15 minutes on foot.